Toward the end of the 2015 legislative session the General Assembly convincingly passed a modification of the marijuana decriminalization law. The modification served to cure an inherent defect in the 2014 decriminalization law by removing the possession of marijuana paraphernalia from the catalog of CDS criminal offenses. It was a logical and necessary fix to the ambiguous situation created by the 2014 law, which punished the possession of pot only by a civil fine, yet still punished possession of the device used to ingest the pot with criminal sanctions. This modification was expected to take effect in October of this year, thus ending the ambiguity and giving law enforcement and prosecutors more time to deal with actual issues of public safety. The only hurdle was an approval from our recently sworn governor, which at the time seemed like a forgone conclusion. But this past week Hogan flexed his socially conservative muscle and vetoed the bill, baffling some lawmakers and angering marijuana reform advocates all over the country. So for at least another year, the only thing criminal about smoking a joint Maryland is the rolling paper that keeps it together. The governor’s justification for vetoing this logical modification leaves the impression that this is purely a power play, and has little to do with the bill on its merits. In a terse letter to the senate president, Hogan cited two explanations for the veto, with one being the fact that marijuana has been determined by the National Highway Traffic Safety Administration to negatively effect driving performance in low to moderate doses. Then governor also stated that if signed into law, the paraphernalia modification would prevent police from initiating a traffic stop if they see someone smoking marijuana while driving. These justifications do nothing but insult the intelligence of state lawmakers, who worked diligently to pass the doomed bill. Lawmakers, and the rest of the general public, are aware that marijuana can affect driving ability, but decriminalizing paraphernalia has absolutely nothing to do with the issue of impaired driving. Driving while under the influence of marijuana is still a jailable offense, and will always remain that way. Decriminalizing a pipe, rolling papers, or a plastic baggie will do nothing to change that. Maryland lawmakers and the public have already spoken that possession of small amounts of marijuana should not be a crime, and it is disingenuous for the governor to hide behind the shroud of impaired driving on his mission to keep pot paraphernalia criminalized. The governor’s statement that decriminalizing paraphernalia would prevent cops from initiating traffic stops for those smoking while driving is hardly compelling. The instances of a police officer actually observing a person smoking what they know is pot while driving are probably more rare than observing a driving chugging a bottle of tequila while driving. This is to say it basically never happens. And if an officer believes a driver is impaired or is acting carelessly behind the wheel, that officer simply has to do his or her job, make a finding of probable cause, and then initiate a lawful traffic stop. There is no chance in this green earth that a police officer would ever observe a person smoking marijuana while driving, and then drive off to do something else because paraphernalia or smoking in the car is no longer a crime. This scenario is completely unrealistic, insulting to police officer’s training and competence, and is a dishonest excuse to veto a bill expanding logical marijuana reform. The Blog will of course follow the aftermath of this veto, and continue to cover marijuana reform in Maryland and across the country. Click on the link below to read the governor’s veto letter and decide for yourself whether his justifications are honest. 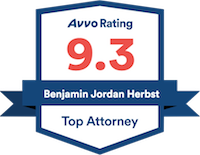 Benjamin Herbst is a drug paraphernalia lawyer who handles all types of criminal charges in the state. Governor Hogan’s veto letter for the decriminalization of marijuana paraphernalia.